Eyesight problems have become a norm in the digital age. A lot of people spend a major chunk of their time in front of bright screens which has a negative effect on vision. When we stare at bright screens the blinking rate of eyes is reduced which tires the eyes and leads to blurry vision. Nearsightedness, farsightedness, presbiopia and double vision are some common eye problems that cause disturbances invision. To fix the visual errors arising from these conditions, one can take help of glasses but it's not a full proof solution as refractive errors are not the only reason for problems with vision. 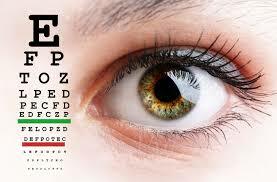 Mineral and vitamin deficiencies, dehydration and some medical conditions also contribute to changes in eyesight. These factors need to be looked into in detail to treat vision problems. 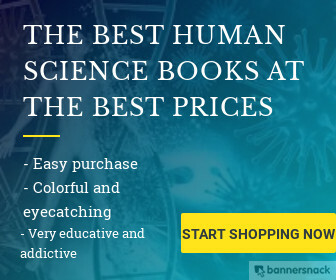 To improve your eyesight naturally you can take help of the following methods. Water plays an important role in maintaining eye health. If the body is dehydrated, it impacts the vision in a number of ways. Insufficient water intake causes the eyes to become dry which negatively affects vision. Hence, adequate consumption of water is essential for healthy eyesight. Incorporating eye exercises in your daily schedule is beneficial for the eyesight. Exercises like nose tip gazing, eye rolling, blinking exercise and tracing exercise help in strengthening eye muscles and train your eyes to see clearly from varying angles and distances. Make a habit of performing eye exercises several times a day to see significant improvement in your vision. Eyes need rest to function properly. Constantly staring at bright screens puts a lot of strain on the eyes and makes them tired. Resting your eyes every once in a while is a good way to relax tense muscles around the eyes. It also gives an opportunity to recover from itchiness and burning that accompanies tired eyes. Get eight hours of sound sleep each night to relax your eyes. Using an eye mask during sleep gives your eyes adequate amount of rest and provides relief from vision problems linked to tired eyes. Consume foods rich in nutrients that promote eye health. Make it a point to include leafy greens, carrots, beets, berries, citrus fruits, meat, fish, poultry, dairy products, mushrooms, nuts, seeds and whole grains in your diet to prevent vision problems that stem from nutritional deficiencies. Eye massage helps in relaxing ocular muscles and improves blood flow to the eyes which is vital for good vision. Massaging certain pressure points around your eyes like the rim of your eyes, inner corners of eyes, bridge of the nose, sides of nostrils and area between your eyes on the forehead helps in improving the eyesight by releasing any stored up fluids and sinus congestion in these points. Take conscious efforts to limit your screen time if you want significant improvement in your vision. Those with desk jobs can give their eyes some rest by looking 20 feet away for ten minutes every half an hour between their work. It helps your vision to adjust to varying distances and relaxes eye muscles. Herbal eye washes are another natural method to eliminate visual problems. Herbs like triphala, baheda and indian gooseberry in dried form helps in relieving blurry vision. Dissolve any one of the powdered helbs in sterile water and dip a clean wash cloth in the liquid. Place the wet wash cloth over your eyes for some days to see improvement in vision. Regular consumption of green tea has shown to help with certain eye problems. This tea is a potential source of nutrients such as vitamin C, zeaxanthin and lutein, which help in promoting healthy vision. Cooled green tea liquid can also be used as an eye wash to derive its benefits in improving vision. Our eyes blink to keep them clear and free of external irritants. When we focus our eyes on television or mobile screens, this blinking rate lowers. A lowered blinking rate is linked to a condition called dry eye. This condition may result in blurry vision if measures are not taken to treat this condition. Blinking your eyes four to five times every minute, helps in preventing dry eye by spreading the tear film on the eye surface and clears up vision. Remaining indoors for prolonged periods is harmful for the eyesight as eyes do not get to see far off objects. Spending time outdoors gives you a chance to explore and spot things lying at far off places. It also exposes your eyes to fresh air which is needed to keep the eyes healthy.